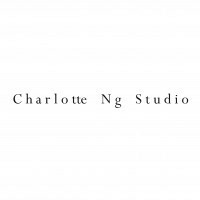 Charlotte Ng Studio is a Womenswear label founded in 2018. Based in Hong Kong, Charlotte Ng devoted to apply her enthusiastic of arts, music and films into design concepts. She focuses on precision and quality aims to set the label apart from mass made ‘fast’ fashion. Charlotte Ng was graduated from Fashion Design of The Hong Kong Polytechnic University. She worked as womenswear designer for international labels more than 10 years. She was awarded Hong Kong Young Fashion Designers’ Contest (YDC) 2018 – Second Runner up and Best Footwear Design Award. “ Through our limitless imaginations, we create. May my works stimulate your emotions, as if it had triggered mine. "